This immersive, revealing and often shocking series explores some of the UK's most infamous crimes. Featuring sophisticated sound design, exclusive new interviews and creative use of news archive, the show brings fresh perspectives on the crimes that shocked Britain. 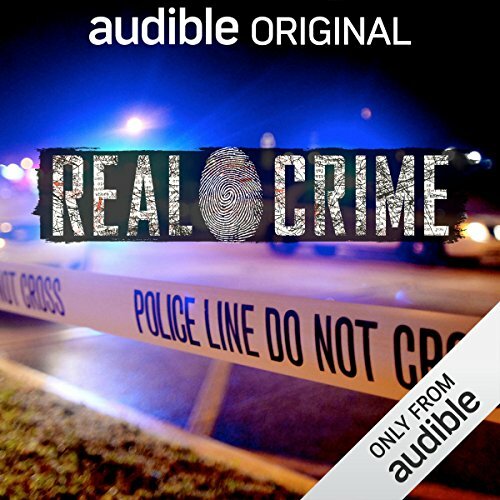 As an Audio Show - free for members - when you add Real Crime to your library, you'll get all 10 episodes, each with a runtime of about 25 minutes. loved it. My husband and I listen at night instead of TV. Great for any relationship. This is a superb series about several crimes which challenged how the British view crime and punishment. Sadly, we in the US are all to familiar with several of these. These cases shocked and horrified that country. Hear what happened and the changes made. Riveting. This is not a usual audiobook, as this is about real events of crimes. The way this was told is amazing. Interesting! Plus the added background music adds some touch to the audiobook! Hate the Sound Effects and music. I download books to hear them read. Not for theatrical embellishment. It is distracting and unnecessary to have music in the background and sound effects. It is really irritating having more noise. If I am reading a book I do not turn on the radio or tv. I am looking for a peaceful experience not more noise. I am greatly saddened with the stories so much tragic loss. With that said it was very interesting to listen to and learn about the way the crimes are solved. I am amazed at the human ability to force cruelty on another person. These stories intrigue me and repulse me at the same time. A good listen. Great, quick, mini stories for your 30 minute car ride commutes. Fascinating listening to this true crime docuseries. Stories of the sick twisted predatory behavior of the mentally ill. Chilling and thought provoking on how easy it was for these animals to get access to innocent people. This was nothing like I expected. I was so disappointed with the book. I wanted to hear everything, not just the trial outcome. won't be getting another book.